of Southern Maine. From the inspiring beauty of the Atlantic Ocean to historic coastal towns and villages, Maine offers an inviting home to those seeking natural beauty, vibrant cultural activities and a relaxed lifestyle. is the picturesque seacoast city of Portland. Nestled along the coast, built on a peninsula with water on three sides, Portland is distinguished for its alluring beauty, charming downtown Old Port, appealing neighborhoods and strong and versatile business climate. The area has long been considered a desirable destination to live, retire or raise a family and the growth and strength of the real estate market supports that fact. From renovated in-town Portland condos to distinctive waterfront estates, there are numerous residential real estate options available in nearly every price range. Southern Maine also offers many opportunities to own Maine Waterfront Real Estate. Use our interactive maps and area profiles to research homes for sale in Maine Coastal Communities or along all the tranquil Maine Lakes and Ponds. We are very proud to call Maine home and invite you to explore all of Cumberland and York Counties via our website. 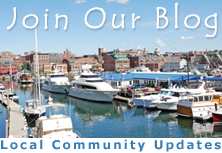 Join the active online community through our blog for the must current news, events and real estate insight. This is quite interesting. I wonder if it is still available. Today's Maine real estate market is more complex than ever and the use of the Internet has dramatically changed how consumers initially identify and shop for homes. To meet the needs of modern homebuyers, we have designed our site to include the most up to date market information available. Let us be your personal guide to the local Portland and Southern Maine area. Our Relocation Services are designed to provide you with extensive area information that only qualified and experienced relocation professionals can convey. Request a Relocation Package or download the 2012 Digital Area Guide. It is complete with community profiles, video, statistics and market comparisons to assist you.